Can you claim compensation for an accident in a cinema? For many people across the country, going to the cinema is an excellent way to unwind. When booking cinema tickets, whether it is to catch the first-day, first-show of the latest release or to watch an old classic, the thought of getting injured is the last thing on anybody’s mind. After all, what can go wrong? Actually, there are plenty of things that can potentially go wrong when you go to the cinema. Just the fact that cinema-goers have to navigate crowds and stairs in low-light conditions is enough to increase the risk of accidents. According to the law, cinema owners and operators are required to identify the inherent risks within the premises and take steps to remove or minimise the identified hazards. If no measures are put in place and someone gets injured as a result, the cinema management may be held liable to compensate the victim for their injuries. Slip and trip accidents are the most common cause of injuries within cinema premises. Cinema-goers might have been injured by slipping on a wet floor that has just been mopped or from spills that have not been mopped up quickly enough. They could also trip over objects lying around on the stairs, loose cables, broken flooring or torn carpeting. The dim lighting in cinemas can increase the risk of injury. Slip and trip accidents may result in injuries ranging from minor bumps, bruises and cuts to more serious wrist or ankle sprains, fractures, concussion or worse. The kind of food that is popular in cinemas calls for special types of catering equipment such as hot dog grills, popcorn makers and hot pots. Cinema-goers could claim for burn or scald injuries if the correct health and safety regulations are not put in place to keep them away from these hot appliances. Another injury that can arise at the cinema is the onset of tinnitus or temporary or permanent hearing loss. Tinnitus might arise if the correct decibel levels are not properly set. Sudden or extended exposure to high-decibel sounds may result in temporary or permanent hearing injuries. Immediately after any accident in a cinema, it can sometimes be difficult to ascertain the severity of the injuries. Some injuries may appear to be minor at first but the full extent of the injuries may become known only much later. Sometimes, there could also be internal complications that are invisible externally. Concussion is a classic example of a type of injury in which the symptoms might not manifest until six to twelve hours or even a day after an accident. Once the symptoms start to develop, the injury can get progressively worse and can leave you in a lot of pain and unable to move. Regardless of how minor your injuries look at the time of the cinema accident, there are a few things you must do in order to protect your right to claim compensation for a cinema accident should you decide to pursue this path. Inform a staff member or the cinema management about the accident as soon as possible. Don’t just stop at informing them verbally. Fill in a written accident report with a detailed account of what happened in the accident book that is supposed to be kept on the premises at all times. Ask to check the CCTV footage to see if the accident was captured on camera. Photographic proof is the strongest proof you can provide in court. Getting a CCTV recording that clearly shows that the accident in the cinema was not your fault can be a huge asset to your cinema accident claim. This must be done as quickly as you can as recordings might be erased regularly for storage issues. Get your own photographs of the scene of the accident as well as your injuries. This way even if the CCTV did not capture the accident, you still have photographic proof. Ask witnesses for their contact details so you can get in touch with them to support your cinema accident claim for compensation. Call for an ambulance if you are too injured to move. If you can move, get to a doctor so you can get your injuries treated at the earliest. Make sure you keep all of the notes and paperwork regarding the medical tests, reports, treatments and prescribed medication. Get in touch with an experienced personal injury solicitor as soon as you are able to, to get advice on the best way to move forward with filing a claim. Do You Need A Solicitor To Start A Cinema Accident Claim? 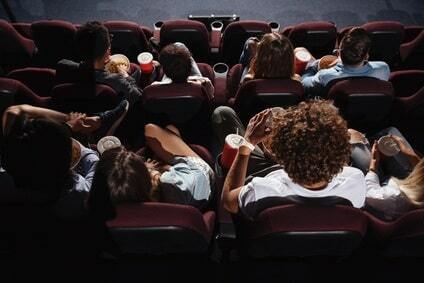 Claiming compensation for an accident in a cinema may seem straightforward to you – you were injured in an accident that was clearly caused by negligence on the part of the cinema staff or management. You’ve got the CCTV recording of the accident and you also have photographic evidence and witness statements. In theory, that should be enough to help you submit a strong claim with a high chance of winning. Unfortunately, compensation claims are never all that straightforward. It’s highly unlikely any cinema owner is ready to pay compensation with no arguments, regardless of whether or not they are at fault. Instead, they will do their best to fight your claim. Unless you have some legal experience, your odds of winning any compensation may be slim. Your best chance of winning a claim for compensation is by having an experienced personal injury solicitor fight your accident claim for you. In addition to boosting your chances of winning, another benefit of having a personal injury solicitor is that you do not have to worry about the solicitor’s fees to start your cinema accident claim. All you need to do is schedule a consultation with a solicitor – the first consultation is usually free. During this appointment, the solicitor will hear you out and discuss the evidence you’ve gathered. If the evidence shows that your injuries were caused by a no-fault accident, most personal injury solicitors will agree to represent you on the terms of a No Win No Fee agreement. How a No Win No Fee agreement works is that you are not expected to pay the solicitor any money at any time while the cinema accident claim is in progress. All legal expenses, from the medical expert’s fees to the court fees, are borne by the solicitor while the claim proceeds. If the court decides the case in your favour, then you are liable to pay the solicitor a percentage of the total award. You do not pay any money if the court does not decide in your favour so you are never out of pocket at any time.